No, not that kind of vet– but we like where your head’s at! 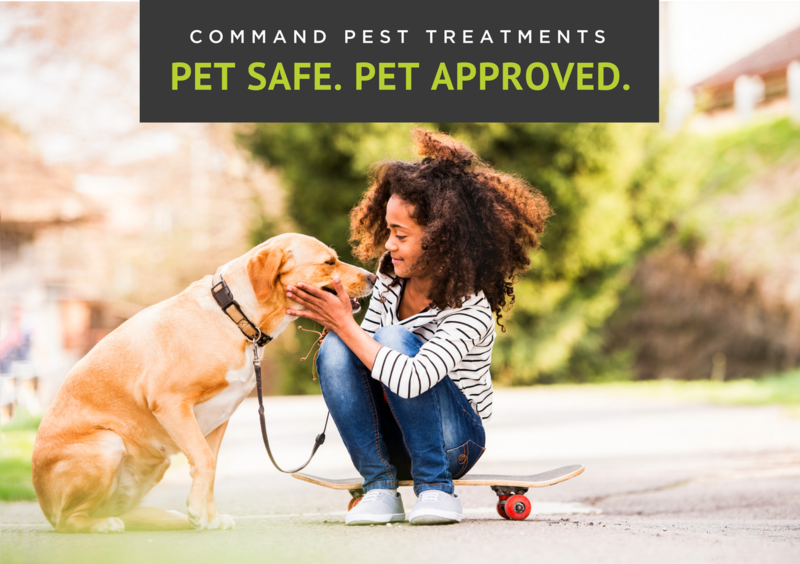 First and foremost, make sure that you hire a licensed pest control specialist, like Command Pest Control, who uses pet-friendly treatments that are EPA approved and safe for man’s best friend. If you aren’t sure, don’t be afraid to ask either! Since we first began in 1995, Command Pest Control has made it a priority to make sure our customers are 100% satisfied with 100% of their services– from start to follow-up. Similar to the secret of a happy marriage, the key to a good relationship with your pest control company is communication. Communicate to the technician assigned to your home that you have pets and what they should expect when he or she comes to your home. This advanced warning allows the technician to be better prepared to treat your home with extra pet-safety precautions. If you’re concerned about your pet’s property, it’s best to go ahead and remove it from areas that will be treated. From toys to food bowls, these inconspicuous items often serve as a breeding ground to Arkansas’s unofficial state bird– the mosquito! Although we recommend keeping your pet pals off of your lawn for thirty minutes post-treatment, this is simply precautionary in case of allergies. Like we mentioned earlier, every product we use is EPA approved, but it never hurts to take an extra step of safety. If it puts you at ease, put your pets in a kennel, cage or secure room away from where the service is scheduled. Fish tanks or bird cages can be covered with a soft, thin towel or blanket. Making your home pest free doesn’t have to put your pet’s safety at risk. In fact, it shouldn’t! By calling a high-quality and reputable pest control company (that’s us! ), and following some simple tips during your treatment, your home can be healthier and happier for everyone in your family. Cue the heavy purring and tail wagging now.